The carcinoembryonic antigen-related cell adhesion molecule 1 (CEACAM1) promotes insulin clearance. Mice with global null mutation (Cc1 −/−) or with liver-specific inactivation (L-SACC1) of Cc1 (also known as Ceacam1) gene display hyperinsulinaemia resulting from impaired insulin clearance, insulin resistance, steatohepatitis and obesity. Because increased lipolysis contributes to the metabolic phenotype caused by transgenic inactivation of CEACAM1 in the liver, we aimed to further investigate the primary role of hepatic CEACAM1-dependent insulin clearance in insulin and lipid homeostasis. To this end, we examined whether transgenic reconstitution of CEACAM1 in the liver of global Cc1 −/− mutant mice reverses their abnormal metabolic phenotype. 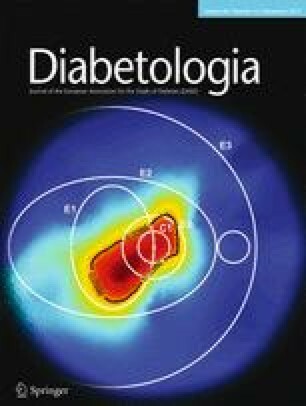 Insulin response was assessed by hyperinsulinaemic–euglycaemic clamp analysis and energy balance was analysed by indirect calorimetry. Mice were overnight-fasted and refed for 7 h to assess fatty acid synthase activity in the liver and the hypothalamus in response to insulin release during refeeding. Liver-based rescuing of CEACAM1 restored insulin clearance, plasma insulin level, insulin sensitivity and steatohepatitis caused by global deletion of Cc1. It also reversed the gain in body weight and total fat mass observed with Cc1 deletion, in parallel to normalising energy balance. Mechanistically, reversal of hyperphagia appeared to result from reducing fatty acid synthase activity and restoring insulin signalling in the hypothalamus. Despite the potential confounding effects of deleting Cc1 from extrahepatic tissues, liver-based rescuing of CEACAM1 resulted in full normalisation of the metabolic phenotype, underscoring the key role that CEACAM1-dependent hepatic insulin clearance pathways play in regulating systemic insulin sensitivity, lipid homeostasis and energy balance. Lucia Russo, Harrison T. Muturi and Hilda E. Ghadieh contributed equally to this study. The online version of this article ( https://doi.org/10.1007/s00125-017-4432-y) contains peer-reviewed but unedited supplementary material, which is available to authorised users. Obesity and type 2 diabetes are characterised by insulin resistance, hyperinsulinaemia and altered lipid and glucose homeostasis . Whereas hyperinsulinaemia can result from increased insulin secretion to compensate for insulin resistance, it can also emerge when insulin clearance is impaired, causing insulin resistance, at least in part, by downregulating insulin receptors [2, 3]. Moreover, chronic hyperinsulinaemia limits the pulsatility of insulin release , restricting insulin-mediated activation of insulin receptor and downstream signalling pathways in hepatocytes. Endogenous insulin is mostly cleared in the liver. Consistent with the predominant expression of the carcinoembryonic antigen-related cell adhesion molecule 1 (CEACAM1) in the liver , we have shown that CEACAM1 provides a post-receptor mechanistic underpinning of how impaired insulin clearance causes chronic hyperinsulinaemia [6, 7, 8]. Upon its phosphorylation by the insulin receptor , CEACAM1, a plasma membrane glycoprotein, increases the rate of receptor-mediated insulin uptake into the hepatocyte and its targeting to the degradation pathways by taking part in the insulin receptor endocytosis complex . The regulatory effect of CEACAM1 in insulin clearance is bolstered by impaired insulin clearance followed by chronic hyperinsulinaemia in transgenic mice with liver-specific overexpression of the dominant-negative serine to alanine phosphorylation-defective mutant of rat CEACAM1 (L-SACC1) or with global deletion of the Cc1 (also known as Ceacam1) gene (Cc1 −/−). Like L-SACC1 mice , Cc1 −/− mice manifest impaired insulin clearance and hyperinsulinaemia at 2 months of age . While they simultaneously develop insulin resistance when the mutation is propagated on the mixed C57BL/6x129sv genetic background, they do not develop systemic insulin resistance until 5–6 months of age when the mutation is propagated on C57BL/6, as demonstrated by hyperinsulinaemic–euglycaemic clamp analysis . Intact beta cell mass and glucose-stimulated insulin secretion and fasting normoglycaemia in Cc1 −/− and L-SACC1 mice demonstrate that their hyperinsulinaemia is primarily caused by impaired insulin clearance . Hyperinsulinaemia in Cc1 −/− mutants also induces hepatic lipid production followed by redistribution to white adipose tissue (WAT) to contribute to visceral obesity [7, 11, 12]. Loss of the repressive CEACAM1-mediated acute negative effect of insulin on fatty acid synthase (FASN) activity under hyperinsulinaemic conditions  probably contributes to increased de novo lipogenesis and hepatic steatosis in these mice. Extrahepatic factors affect insulin action and fat accumulation in the liver of Cc1 −/− mice. For example, inhibiting lipolysis and inducing fatty acid β-oxidation by l-carnitine restores insulin clearance and insulin action in L-SACC1 transgenic mice . This suggests that altered fat metabolism plays an important role in sustained insulin resistance. In fact, by inducing human Apolipoprotein A-1 (ApoA-1)  and activating the peroxisome proliferation activated receptor (PPARα) that represses Cc1 expression , elevated release of NEFAs from adipose tissue maintains ApoA-1-driven expression of the phosphorylation-defective rat S503A CEACAM1 mutant at a higher level than that of the mouse endogenous Cc1 gene, thus, contributing to the dominant-negative effect of the rat Cc1 transgene on insulin clearance in L-SACC1 mice [14, 17]. Whereas this points to the important role of an extrahepatic factor (lipolysis) in the pathogenesis of insulin resistance in L-SACC1 mice, it does not fully explore the primary role of hepatic CEACAM1-dependent insulin clearance pathways in regulating insulin homeostasis and action. Therefore, we rescued CEACAM1 expression exclusively in the livers of Cc1 −/− mice and investigated whether it reverses altered insulin and fat metabolism. To obtain mice heterozygous for the Cc1 locus, C57BL/6J.Cc1 −/− mice [7, 12] were crossed with transgenic mice with liver-specific overexpression of wild-type rat Cc1 driven by ApoA-1 promoter (L-CC1) . These were backcrossed with C57BL/6J mice (Jackson Laboratory, Bar Harbor, ME, USA) six times to obtain a progeny of Cc1 +/− with or without the transgene. Intercrossing this progeny produced several genotypes including Cc1 −/− with the transgene (Cc1 −/−xliver+ ) and control littermates: Cc1 −/− without the transgene (Cc1 −/−), Cc1 +/+ without the transgene (Cc1 +/+) and Cc1 +/+ with the transgene (L-CC1). Genotypes were identified by PCR-based genotyping using ear genomic DNA and primers for the wild-type allele (exon 2), the knockout allele (the neomycin cassette between exon 7 and 9) and the rat transgene (exons 6 and 9) (see ESM Fig. 1). Male mice were kept in a 12 h light/dark cycle under pathogen-free conditions and fed a standard diet (Harlan Laboratories, Teklad 2016, Haslett, MI, USA) ad libitum . In some experiments, mice were injected i.p. once daily with nicotinic acid (200 mg/kg body weight per day; Sigma-Aldrich, Saint Louis, MO, USA) for 2 days . Mice were placed in cages with Alpha-dri bedding (Shepherd Specialty Papers, Cincinnati, OH, USA) prior to food removal and phenotyping. The Institutional Animal Care and Utilization Committee approved all procedures. Animals and samples were not randomised. No data, samples or animals were excluded in analyses. Whole body composition was assessed in awake mice by NMR technology (Bruker Minispec, Billerica, MA, USA). Magnetic resonance spectroscopy (1H-MRS; Echo Medical Systems, Houston, TX, USA) was used to determine fat and lean mass as percentage of total body weight, as previously described . Retro-orbital venous blood was drawn at 11:00 hours from mice fasted overnight to measure plasma insulin (80-INSMSU-E01 ELISA kit; ALPCO, Salem, NH, USA), C-peptide (80-CPTMS-E01 ELISA kit; ALPCO), leptin (22-LEPHUU-E01 ELISA kit; ALPCO), NEFA (NEFA-C enzymatic colorimetric assay; Wako, Richmond, VA, USA), and plasma and hepatic triacylglycerol levels (Pointe Scientific, enzymatic colorimetric assays, Canton, MI, USA) [7, 12, 18]. A 2 h hyperinsulinaemic–euglycaemic clamp was performed in awake overnight-fasted mice with primed and continuous infusion of human soluble insulin (Humulin, Lilly, Indianapolis, IN, USA) at a rate of 2.5 mU kg−1 min−1 . Glucose metabolism was estimated with a continuous infusion of 1850 Bq of [3-3H]glucose (Perkin-Elmer, Shelton, CT, USA) and then 3700 Bq throughout the clamp. Food was removed from individually housed mice at 15:00 hours and weighed for 4 days. At 18:00 hours, mice were injected i.p. with a daily dose of 30 mg/kg body weight of C75 (Calbiochem, EMD Bioscience, Bedford, MA, USA) dissolved in RPMI 1640 medium (Gibco, Gaithersburg, MD, USA). Food was returned 5 min before the dark cycle began at 19:00 hours and the weight of ingested food/day was calculated. Primary hepatocytes were isolated by perfusing livers with collagenase-type II (1 mg/ml) (Worthington, Lakewood, NJ, USA) and plated in six-well plates in complete Williams-E medium at 1 × 106 cells/well . After 24 h, cells were incubated in the absence or presence of 100 nmol/l insulin (Sigma-Aldrich) at 37°C for 5 min, followed by incubation with biotin (1 mg/ml) (Pierce, Rockford, IL, USA) in PBS for 30 min on ice. Cells were lysed in 1% Triton-X and subjected (30 μg proteins) to immunoprecipitation at 4°C with streptavidin (Pierce). Immunoprecipitates were centrifuged and analysed by 7% SDS-PAGE and immunoblotting with 1:1000 of insulin receptor alpha (IRα) antibody (N-20; Santa Cruz, Dallas, TX, USA) or a custom-made Ab3759 polyclonal antibody against purified mouse CEACAM1, as titrated [12, 19], followed by horseradish peroxidase-conjugated mouse anti-rabbit IgG antibody (Jackson Immunoresearch, West Grove, PA, USA) and subjected to enhanced chemiluminescence (ECL; Amersham Pharmacia, Sunnyvale, CA, USA). Livers were homogenised, centrifuged and the supernatant fraction was added to a reaction mix containing 3700 Bq [14C]malonyl-CoA (Perkin-Elmer) and 25 nmol malonyl-CoA in the absence or presence of 500 μmol/l NADPH (Sigma-Aldrich) . The reaction was stopped with 1:1 chloroform:methanol solution and samples were centrifuged, butanol-extracted and counted. FASN activity was calculated as the cpm of [14C]-incorporated Bq/μg cell lysates. The liver was extracted, homogenised and incubated in 0.2 mmol/l of [1-14C]palmitate (185 × 105 Bq) (American Radiolabeled Chemicals, St Louis, MO, USA) and 2 mmol/l ATP . The reaction was terminated with perchloric acid to recover radioactive acid soluble metabolites. Trapped CO2 was measured by liquid scintillation. The oxidation rate was expressed as the sum of total and partial fatty acid oxidation expressed in nmol g−1 min−1. This was achieved using 1:1000 polyclonal antibodies against phosphorylated insulin receptor beta (p-IRβ; phospho-Y1361), IR β (C18C4) (Abcam, Cambridge, MA, USA), phosphorylated Akt (p-Ser473 Akt), Akt, α-FASN (Cell Signaling, Danvers, MA, USA), custom-made rabbit polyclonal Ab2456 against the mouse CEACAM1 extracellular domain, as titrated , and custom-made rat CEACAM1 (αP3[Y488]) and phosphorylated CEACAM1 (α-p-CEACAM1) mouse antibodies (Bethyl Laboratories, Montgomery, TX, USA), as titrated [16, 21]. α-Actin, α-GAPDH and α-tubulin antibodies (Santa Cruz) were used at 1:5000 dilution for normalisation. Blots were incubated with horseradish peroxidase-conjugated donkey anti-rabbit IgG antibody, as per manufacturer’s titration, for analysis of transfected, knockout or siRNA-knockdown cells (GE Healthcare Life Sciences, Amersham, Sunnyvale, CA, USA), followed by ECL. cDNA was synthesised using iScript cDNA Synthesis Kit (Bio-Rad, Hercules, CA, USA) and qPCR was performed using Fast SYBR Green Master Mix by the ABI StepOnePlus Real-Time PCR System (Applied Biosystems, Foster City, CA, USA)  and 10 μmol/l primers for Cc1 (mouse Cc1 [mCc1], rat Cc1 [rCc1] and total Cc1), Tnfα (Tnf), F4/80 (Adgre1), Il-1β (Il1b), Srebp-1c (Srebf1), Fasn, Fgf21, Cpt1α (Cpt1a), Pparα (Ppara), Ucp1, Cox2 (ESM Table 1). mRNA was normalised to Gapdh, unless otherwise stated. Parametric data were analysed by one-way ANOVA with Tukey’s test for multiple comparisons. Nonparametric data were analysed by the Kruskal–Wallis test with Dunn’s correction for multiple pairwise comparisons. All data were expressed as means ± SEM using GraphPad Prism 6 software (www.graphpad.com, downloaded on 29 June 2016). A p value ≤ 0.05 was considered statistically significant. qPCR analysis demonstrated that mouse mRNA (mCc1) is expressed in the liver, hypothalamus and hepatocyte of Cc1 +/+ and L-CC1 mice, but not Cc1 −/− or Cc1 −/−xliver+ mice (Table 1). The rat mRNA (rCc1) was detected in the liver and hepatocytes of L-CC1 and Cc1 −/−xliver+ mice, but not Cc1 +/+and Cc1 −/− mice. Total rat and mouse mRNA levels were about twofold higher in the livers of L-CC1 mice compared with Cc1 +/+ and Cc1 −/−xliver+ mice (Table 1). rCc1 levels were negligible in the hypothalamus of all genotypes. Neither rCc1 nor mCc1 were detected in the WAT of any genotype . Nevertheless, CEACAM1 may still be targeted to an undetermined extrahepatic cell/tissue. Western blot analysis using a polyclonal antibody against the extracellular domain of mouse CEACAM1 (IB:α-mCC1) detected CEACAM1 in the livers of Cc1 +/+ and L-CC1 mice, but not Cc1 −/−xliver+ mice (Fig. 1a). Immunoblotting with rat α-CEACAM1 (IB:α-rCC1) revealed the rat protein in the livers of L-CC1 and Cc1 −/−xliver+ mice, but not Cc1 +/+ mice (Fig. 1a). Rat CEACAM1 was not expressed in other tissues in Cc1 −/−xliver+ mice, including the small intestine , the other main site of ApoA-1 production, kidney and heart (Fig. 1a, b). Cc1 −/− mice exhibited higher body weight, and total and relative fat mass than Cc1 +/+ mice from 2 months of age (Table 2). Moreover, they exhibited lower relative, but not total, lean mass (Table 2). Liver-specific rescuing of CEACAM1 reversed these abnormalities by 6 months of age (Table 2). Cc1 −/− mice also exhibited hyperinsulinaemia (Fig. 1c) resulting from impaired insulin clearance, as indicated by steady-state C-peptide/insulin molar ratio at 2 months of age (Fig. 1e) . Immunoblotting the biotin-streptavidin immunopellet with polyclonal antibodies against IRα and whole mouse CEACAM1 (Fig. 1f) revealed that insulin-induced insulin receptor and CEACAM1 internalisation, measured by the loss of biotin-labelled surface membrane proteins in cells treated with insulin vs buffer , was almost completely blunted in hepatocytes from Cc1 −/− mice. Thus, receptor-mediated insulin internalisation (and degradation) is compromised in Cc1 −/− hepatocytes. Liver-specific rescuing of CEACAM1 prevented impairment of insulin clearance and hyperinsulinaemia (Fig. 1d, c). This appears to be due to the recovery of insulin-induced internalisation of the insulin-receptor–CEACAM1 complex, as shown by reduced insulin-mediated biotin-labelled IRα levels in Cc1 −/−xliver+ mice (Fig. 1f). Cc1 −/− mice exhibited fed but not fasting hyperglycaemia, which was prevented by liver-specific CEACAM1 rescuing (Table 2) . To further assess the effect of hepatic CEACAM1 on insulin action in vivo, a 2 h hyperinsulinaemic–euglycaemic clamp analysis was performed on overnight-fasted, awake 6-month-old mice, since Cc1 −/− mice develop insulin resistance at this age  (Fig. 2). Basal glucose at the beginning and during the clamp were similar in all groups (Fig. 2a). Whereas basal insulin was elevated in Cc1 −/− mice, insulin levels were maintained at comparable levels in all groups (Fig. 2b). The glucose infusion rate required to maintain euglycaemia was reduced in the insulin-resistant Cc1 −/− mice (Fig. 2c) but normal in Cc1 −/−xliver+ mice, emphasising the role of hepatic CEACAM1 in maintaining systemic insulin sensitivity. Whereas insulin-stimulated whole-body glycogen synthesis was low in Cc1 −/− mice, it was normal in Cc1 −/−xliver+ mice in comparison with Cc1 +/+ mice (Fig. 2d). Basal hepatic glucose production (Fig. 2e), a measurement of the appearance rate in pre-clamp conditions, was similar in all groups. In contrast to Cc1 −/− mice, insulin comparably suppressed hepatic glucose production in Cc1 −/−xliver+ and Cc1 +/+ mice (Fig. 2e, f). Whereas whole body glucose turnover was reduced in Cc1 −/− mice, it was normal in Cc1 −/−xliver+ mice (Fig. 2g). Consistently, reduction in glucose uptake in the gastrocnemius muscle (Fig. 2h), WAT (Fig. 2i) and brown adipose tissue (BAT) (Fig. 2j) was also prevented in Cc1 −/−xliver+ mice. The data demonstrate that liver-specific rescuing of CEACAM1 curbed impaired hepatic insulin clearance and systemic insulin resistance caused by Cc1 deletion. Cc1 −/− exhibited hepatic triacylglycerol accumulation compared with Cc1 +/+ mice (Table 2). Histological evaluation of liver sections stained using H&E revealed diffuse fat infiltration in the livers of Cc1 −/− mice, as opposed to Cc1 +/+ in which the parenchyma was fat-free (Fig. 3). The steatosis appeared predominantly microvesicular with a mix of macrosteatosis. Liver-specific rescuing of CEACAM1 reversed hepatic triacylglycerol level (Table 2) and fat deposition (Fig. 3d vs Fig. 3b, Cc1 −/−xliver+ vs Cc1 −/−). This appears to result in part from elevated fatty acid β-oxidation (FAO), as supported by conversion to CO2 (Fig. 3e; Cc1 −/−xliver+ vs Cc1 −/− ), and elevated mRNA levels of Fgf21 (Fig. 3f) and other genes involved in FAO (Pparα, Cpt1α and Ucp1) (ESM Table 2). Reduced hepatic steatosis in Cc1 −/−xliver+ mice can also arise from the reversal of de novo lipogenesis in Cc1 −/− mice, as indicated by the lower basal Fasn mRNA levels in association with reversal of hyperinsulinaemia (Fig. 3g, h; Cc1 −/−xliver+ vs Cc1 −/−), likely mediated by sterol regulatory element binding protein-1c (SREBP-1c) inactivation (ESM Table 2) . Moreover, liver-specific rescuing of CEACAM1 restored the suppressive effect of insulin on FASN activity in mice refed for 7 h after an overnight fast (Fig. 3k). As shown by Najjar et al , insulin downregulates FASN activity in normoinsulinaemic mice (Cc1 +/+, L-CC1, Cc1 −/−xliver+ ) by activating the IRβ subunit (Fig. 3i, IB:α-p-IRβ), which causes CEACAM1 phosphorylation (Fig. 3j, IB:α-p-CEACAM1) and its binding to FASN (p-CEACAM1 detection in the FASN immunopellet) (Fig. 3j, IP:α-FASN; IB:α-p-CEACAM1). In Cc1 −/− mice, however, when hyperinsulinaemia develops, insulin receptors are downregulated by ~ 65% (Fig. 3i; IB:α-p-IRβ) [2, 3], blunting insulin-initiated IRβ activation and CEACAM1 phosphorylation and its binding to FASN (Fig. 3j; IP:α-FASN; IB:α-p-CEACAM1). This halts the negative effect of insulin on FASN activity in refed mice (Fig. 3k). Because FASN levels were induced by hyperinsulinaemia in Cc1 −/− mice, probably mediated by SREBP-1c activation (ESM Table 2) , basal FASN activity was higher in Cc1 −/− than in normoinsulinaemic mice and remained uncountered at refeeding in the absence of CEACAM1 (Fig. 3k). Cc1 −/− mice exhibited multiple foci of inflammatory cell infiltrates in the hepatic lobules without noticeable ballooning injury of the hepatocyte (Fig. 3b). qPCR analysis revealed elevation in mRNA levels of inflammatory markers such as hepatic tumour necrosis factor-α (Tnfα) and Cox2 in Cc1 −/−, parallel to an increase in their macrophage population (F4/80 mRNA) (ESM Table 3). The inflammatory response to Cc1 deletion was reversed by liver-specific rescuing of CEACAM1, as demonstrated by the loss of inflammatory infiltrates in the H&E-stained sections (Fig. 3d) and normalisation of mRNA levels of inflammatory markers in the livers of Cc1 −/−xliver+ mice (ESM Table 3). As shown by DeAngelis et al , and Gosh et al , increased lipid production in the livers of Cc1 −/− mice drives redistribution to WAT causing visceral obesity (Table 2). Liver-specific rescuing of CEACAM1 prevented the gain in visceral obesity together with plasma leptin levels (Table 2). This limited lipolysis, indicated by normal plasma NEFA (Table 2), and significantly reduced mRNA levels of inflammatory markers, such as Tnfα, F4/80 and Il-1β, in Cc1 −/−xliver+ mice compared with Cc1 −/− mice (ESM Table 3). Cc1 −/− mice manifested progressively higher body weight than Cc1 +/+ mice in parallel to hyperphagia and reduced physical activity without significantly affecting energy expenditure (and heat production) at 5–6 months of age when they develop leptin  and insulin resistance . To investigate whether insulin resistance contributes to energy imbalance, we subjected mice to indirect calorimetry. As shown in Fig. 4a, b, rescuing hepatic CEACAM1 reversed hyperphagia and physical inactivity in Cc1 −/− mice, respectively, in particular in the dark cycle when the phenotype is more pronounced . As expected, there was no significant effect on heat production (Fig. 4c). This is supported partly by the reversal of triacylglycerol content in skeletal muscle (Table 2). As expected from the downregulatory effect of hyperinsulinaemia on insulin receptors [2, 3], western blot analysis using IRβ antibodies revealed lower insulin receptor levels in hypothalamic lysates from Cc1 −/− than Cc1 +/+ and Cc1 −/−xliver+ mice (Fig. 5a). Consistently, insulin release during refeeding failed to activate the insulin receptor in the hypothalamus of Cc1 −/− mice, as it did in Cc1 +/+ and Cc1 −/−xliver+ mice (assessed by immunoblotting with α-p-IRβ) (Fig. 5a). Together, this demonstrates that insulin resistance in the hypothalamus contributes to energy imbalance in Cc1 −/− mice. Because hypothalamic FASN activation causes hyperphagia independent of leptin [24, 25, 26], we then examined FASN activity in the hypothalamus. As Fig. 5b, c indicate, basal mRNA and protein levels of hypothalamic FASN and its activity were elevated in Cc1 −/− mice, but not in normoinsulinaemic Cc1 −/−xliver+ mice. Western blot analysis (Fig. 5c) shows that, as in the liver, insulin release during refeeding caused CEACAM1 phosphorylation and association with the FASN immunopellet in the normoinsulinaemic Cc1 +/+ mice. This caused reduction in FASN activity in refed relative to fasted wild-type mice (Fig. 5d). Reduction in FASN activity in refed Cc1 −/−xliver+ mice in response to insulin was due to the phosphorylation and binding of CEACAM2 to FASN, as shown by the identification of a p-CEACAM2 band in the α-FASN immunopellet that was not detected when the gel was re-immunoblotted with α-CEACAM1 (Fig. 5c). Of note, because the cytoplasmic domain of CEACAM2 shares a high homology with that of CEACAM1, in particular at the tyrosine site , p-CEACAM1 antibodies also recognise p-CEACAM2 which is highly expressed in the hypothalamus . To investigate whether the increase in hypothalamic FASN activity contributes to hyperphagia, we examined the effect of C75, a FASN inhibitor , on daily food intake. As shown in Heinrich et al , Cc1 −/− mice exhibit a higher daily food intake than Cc1 +/+ mice (Fig. 5e). Treatment with C75 for 4 days reversed hyperphagia (Fig. 5e) and elevated body weight (Fig. 5f) in Cc1 −/− mice. The data indicate that the rise in hypothalamic FASN level and activation contributes to elevated food intake and obesity in Cc1 −/− mice. Next, we examined the effect of preventing lipolysis with nicotinic acid on insulin signalling and insulin intolerance. As shown in Fig. 6a, nicotinic acid reduced plasma NEFA by ~ 50% in all groups, normalising that of Cc1 −/− mice to the level of untreated Cc1 +/+ mice. However, it failed to reverse impairment of insulin clearance (C-peptide/insulin molar ratio) (Fig. 6d) and hyperinsulinaemia (Fig. 6b). It also failed to reverse insulin resistance, as demonstrated by persistent insulin intolerance in Cc1 −/− mice (Fig. 6e, f) and blunted insulin receptor phosphorylation in the liver, hypothalamus and WAT of Cc1 −/− mice in response to insulin release during refeeding (ESM Fig. 2). As expected , nicotinic acid increased macrophage recruitment to the WAT of all groups (ESM Table 4) to blunt insulin action in the WAT of refed control mice (ESM Fig. 2). Together, this demonstrates that lipolysis is the consequence rather than the cause of systemic insulin resistance in Cc1 −/− mice. Consistent with the upregulatory role of CEACAM1 in receptor-mediated insulin internalisation and degradation in the hepatocyte, Cc1 −/− mice develop impaired insulin clearance with chronic hyperinsulinaemia, in addition to insulin resistance and hepatic steatosis [7, 12]. As recovery of insulin sensitivity and lipid homeostasis, in addition to visceral obesity are observed in Cc1 −/−xliver+ mice, a key role can be assigned to hepatic CEACAM1-dependent pathways in regulating insulin and lipid homeostasis and systemic insulin action. Downregulation of hepatic and hypothalamic insulin receptors in Cc1 −/− mice and subsequent manifestation of cellular insulin resistance could result from a common pathway such as systemic hyperinsulinaemia that begins at 2 months of age. Insulin resistance caused by hyperinsulinaemia has been shown in cells [2, 29], in mouse livers  and in humans with benign insulinoma . As expected , hyperinsulinaemia induced SREBP1c-mediated transcription of FASN in Cc1 −/− mice and, subsequently, its activation, since it simultaneously relieves the hepatocyte from the acute negative effect of insulin on FASN activity, owing to compromised insulin pulsatility  and the absence of the counter-regulatory effect of CEACAM1 . This increases de novo lipogenesis and substrate redistribution to the white adipose depot to cause visceral obesity followed by lipolysis and systemic insulin resistance. While this may cause a compensatory increase in insulin secretion that could, in turn, contribute to the chronic hyperinsulinaemic state , persistence of hyperinsulinaemia and insulin resistance in Cc1 −/− mice after blocking lipolysis with nicotinic acid demonstrates that these metabolic abnormalities arise independent of visceral obesity and that they are the cause rather than the consequence of lipolysis. Null deletion of Cc1 induces chronic hyperinsulinaemia and hepatic de novo lipogenesis, which, combined with reduced fatty acid β-oxidation and increase NEFA uptake, leads to hepatic steatosis . It also promotes visceral obesity and release of proinflammatory adipokines that contribute to systemic insulin resistance . Together with increased recruitment of macrophages, infiltrating adipokines modulate the inflammatory milieu of the liver parenchyma to cause steatohepatitis. The critical regulatory role of the loss of hepatic CEACAM1-dependent pathways in these metabolic abnormalities is further demonstrated by the curbed visceral adiposity with associated lipolysis and recruitment of proinflammatory cytokines in Cc1 −/−xliver+ mice. This protective metabolic effect of hepatic CEACAM1 is consistent with the prevention of diet-induced insulin resistance and metabolic abnormalities by transgenic overexpression of CEACAM1 in the liver of C57BL/6 mice [15, 34] and by their reversal with liver-specific adenoviral-mediated delivery . Cc1 −/− mice also develop obesity and higher total fat mass by 6 months of age, owing to hyperphagia and low physical activity . Reversal of this energy imbalance in parallel to restoring physiological insulin levels and hypothalamic insulin signalling in Cc1 −/−xliver+ mice points to the contribution of hypothalamic insulin resistance in the energy imbalance of global Cc1 −/− mice, in support of the well-documented role of insulin in regulating food intake and physical activity [35, 36, 37], as well as insulin response in liver . Mechanistically, hyperinsulinaemia causes obesity , in part by inducing leptin resistance and hyperphagia . Thus, normalisation of food intake can also result from reduced visceral obesity by liver-specific recovery of CEACAM1 expression. Hyperinsulinaemia also drives FASN transcription  and, subsequently, its activity. Reversal of hyperphagia and obesity in Ob/Ob mice by C75 demonstrates that inactivating hypothalamic FASN reduces food intake independently of leptin [24, 25, 26]. Consistently, hypothalamic FASN deletion suppresses food intake . Herein we show for the first time that upon its phosphorylation by the insulin receptor, hypothalamic CEACAM1 binds to FASN to reduce its activity in response to the acute rise of insulin in normoinsulinaemic mice, as it does in liver . In the hyperinsulinaemic Cc1 −/− mice, basal FASN activity is elevated as a result of the rise in its insulin-induced SREBP1c-mediated transcription and level. In the absence of the counter-regulatory effect of CEACAM1, this maintains high FASN activity to contribute to hyperphagia, as demonstrated by the reversal effect of C75 FASN inhibitor on food intake in Cc1 −/− mice. Liver-specific rescuing of CEACAM1 restored normoinsulinaemia and the negative effect of insulin on FASN activity by promoting phosphorylation and binding of CEACAM2—a relative of CEACAM1 that shares a very strong amino acid homology in its cytoplasmic domain. This emphasises the dependence of the negative effect of insulin on FASN activity on the prior insulinaemic state and, subsequently, on CEACAM phosphorylation . It also provides a potential mechanism linking normalisation of insulin homeostasis and action to reduced food intake in Cc1 −/−xliver+ mice. In summary, the current study demonstrates reversal of insulin resistance, steatohepatitis, obesity and other metabolic abnormalities in Cc1 −/− mice by liver-specific rescuing of CEACAM1. Given that this normalisation occurs despite persistent loss of CEACAM1 from extrahepatic tissues, the data emphasise a key role for hepatic CEACAM1-dependent pathways in regulating insulin metabolism and action in a coordinated manner with lipid homeostasis and visceral obesity. Together with the reversal effect of adenoviral-mediated hepatic CEACAM1 delivery on diet-induced insulin resistance, hepatic steatosis and visceral obesity, this identifies induction of liver CEACAM1 as a potential therapeutic option against metabolic abnormalities. The clinical implications of these findings are emphasised by a marked decrease in hepatic CEACAM1 levels in obese individuals with fatty liver disease and insulin resistance [42, 43]. The authors thank N. Beauchemin (McGill University, Montréal, QC, Canada) for her gift of the custom-made rabbit Ab2456 and Ab3759 polyclonal antibodies. We also thank J. Kalisz and M. Kopfman at the Najjar Laboratory at the University of Toledo College of Medicine for their technical assistance in the generation and maintenance of mice, and in carrying out routine RNA analyses. Data are available on request from the corresponding senior author. This work was supported by grants from the National Institutes of Health (R01-DK054254, R01-DK083850 and R01-HL112248 to SMN, and U24-DK093000 to the National Mouse Metabolic Phenotyping Center at UMass). It was also supported by fellowships from the American Heart Association (14POST20480294) to LR and the Middle-East Diabetes Research Center to HEG and SSG. The studies were also partially supported by the John J. Kopchick PhD OHF Eminent Research Chair Fund. LR, HTM, HEG, SSG, TAB, H-LN and SD researched data and drafted parts of the manuscript. HTM and HEG revised the manuscript extensively. JKK carried out the hyperinsulinaemic–euglycaemic clamp experiment, and analysed and discussed data. GYD and GH carried out the statistical analysis. GYD, GH and JKK critically reviewed the manuscript. SMN was responsible for study design, conceptualisation, data analysis and interpretation, and reviewing the manuscript. All authors have given final approval of this version to be published. SMN had full access to all the data of the study and takes responsibility for the integrity and accuracy of data analysis and the decision to submit and publish the manuscript.